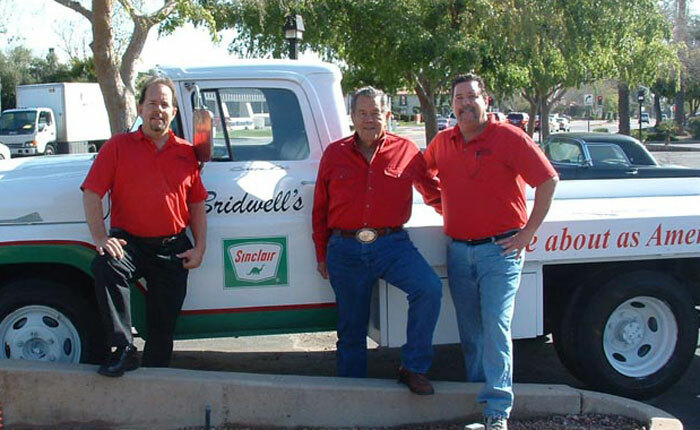 Bridwell Automotive has been providing auto care and repair in Scottsdale for more than 45 years. No company stays in business this long without a commitment to serving its customers, continual investment in its expertise and offerings, and sound business practices. We are grateful to our community for its support and patronage and pledge to provide the best automotive service and repair we can. We are proud of Bridwell’s history and lineage, those who built our thriving business and those who continue its mission. The Bridwell story is part of Scottsdale’s history and remains the only truly and totally full service gas station in the State of Arizona! Learn more about our family, our top-notch auto technicians and the values that have made our automotive center grow and thrive. Bill Bridwell Sr. grew up in Carlsbad, New Mexico and graduated from Carlsbad High School. Two years later, Bill was riding in a rodeo where he asked Delora Montgomery to marry him. Our part of the Bridwell family was started. Bill opened his first Chevron Gas Station as the owner and chief mechanic. After a successful start-up, Bill sold his business and began looking for a new opportunity. Bill went to work for a diesel power plant of the Potash Company of America while also working to earn a degree in Power Plant Engineering. Over the next two years Bill had two boys, Bill Jr. and Lloyd, and earned a degree in Stationary Diesel Engineering. All was well! In 1957 Bill accepted a job as a Technician Specialist, Physical Science Laboratory at New Mexico State University, Las Cruces, New Mexico. The project was Field Test, fusing devices for warheads on missiles at White Sands Missile Range. Bill was quickly promoted to Chief Technician and assistant to the Chief Engineer. In 1959 Bill was promoted to Field Representative at Yuma Test Station in Arizona, coordinating all solid fuel missile tests in Yuma. In July 1967 Bill accepted a position with General Electric working on The Manned Orbiting Laboratory Project as Manager of Development, Sub System I Laboratory. President Nixon canceled The Manned Orbiting Laboratory in favor of the Earth Satellite Research project. That led to Bill changing jobs to the GE Computer Division in Phoenix, AZ. Later, Bill had three offers to take the Development Lab for the Earth Satellite Research Lab, which is still an on-going satellite program. Bill turned down that offer, took his vested rights, and chose early retirement. In 1971, Bill studied companies that GE research had shown to have high potential for profitable returns with little investment. Gasoline service stations emerged as one of the best ideas. This was of no interest to the big boys, but for a small operator in the right location, there was an opportunity to do quite well. Bridwell and Sons Texaco was born. Bill Jr was in college, Lloyd was a Junior in high school, Lane was 13 and in eighth grade and Terry was 7 at that time. Bill thought it would be a great way to put the entire family through college and that his children would learn a lot in the family business. Let her rip! 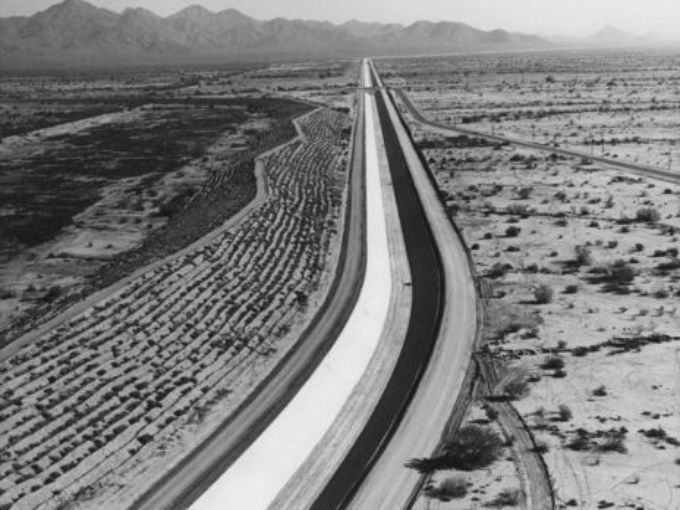 In a short time, they added Bridwell and Son’s Texaco Station at Granite Reef and Chaparral. 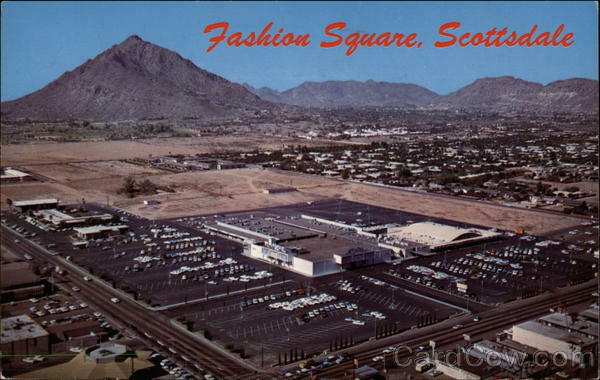 A little over year later, Bridwell’s Texaco at Lincoln and Scottsdale Road was opened. In 3 more years, Bridwell’s NAPA Parts Store at Shea and Scottsdale Rd. was added. 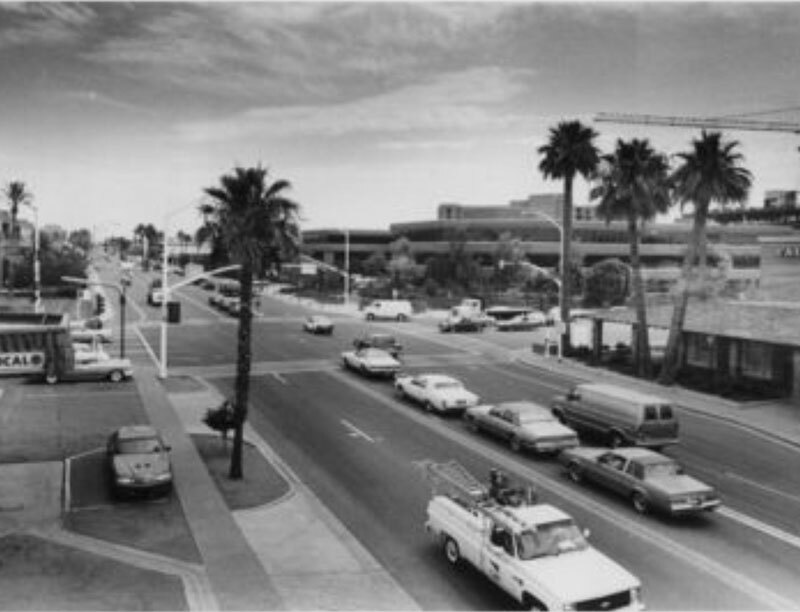 Shortly afterwards, they opened a new location of Bridwell’s Mobil at Shea and Scottsdale Roads. A little while later, Bridwell’s Automotive and Trim Shop at 2nd Street opened, then Bridwell’s Texaco at 2nd St. and Scottsdale Rd. Our best business has always been Bridwell Automotive Center at Lincoln and Scottsdale Road. We are proud to still offer quality full service gas and automotive repair services 47 years later. Thank you to our treasured customers for allowing us to serve you these many years! Lane Bridwell has lived in Scottsdale since 1969, his 8th grade year. (He moved to Scottsdale in the summer of 69, what a great year!) He graduated from Scottsdale High School and then got a Business Management degree from Arizona State University. Lane grew up in the auto repair business that his father Bill opened in 1970. He worked in several family auto repair businesses until 1985, when he bought into what was then called Lincoln Plaza Texaco, later changed to Bridwell Automotive Center. During Lane’s early years in Scottsdale, he volunteered as a youth football coach with the Scottsdale Boys and Girls Clubs and continued for more than 25 years. Along with youth sports and raising two sons, Jamie and Cory, Lane volunteered with the Scottsdale Jaycees and the Parada del Sol Rodeo for more than 20 years, serving on the Rodeo Board of Directors and as Parada Boss in 1988 and 2003. In 2006 Lane went back to school at the University of Phoenix and received a Masters Degree in Secondary Education, building on the business, computer and communication knowledge that is required in his role as President and General Manager of Bridwell Automotive Center. Lane did his student teaching, as well as coaching, at Saguaro High School in Scottsdale. He was the scout coach for offense during a memorable 28-0 season and through two state championships. Working in the family business early on, Lane was mainly involved in the accounting department, but he decided to develop his technical expertise and so became an ASE Certified Technician and Service Writer. Keeping up with today’s cars is a never-ending process involving on-the-job training from our ASE Certified Master Technicians along with ongoing classes that teach the new technologies of the modern automobile. Today, Lane continually works at keeping himself fully knowledgeable about the cars we work on and trying to keep up with his five-year-old granddaughter Lila, who was named after his paternal grandmother. Terry Bridwell has spent most of his life in Scottsdale since his arrival in 1969, his 4th grade year. He attended Loloma Elementary and Cocopah Middle School. He Graduated from Chaparral High School in 1978. Terry grew up working in the family business since the 8th grade. He was managing one of our service stations at the age of 19 and his father Bill Bridwell taught him the ins and outs and the hard working ethics of owning and operating a service station. He carries on that tradition today. In 1994, while remaining a co-owner of Bridwell Automotive, Terry left the managing of the service stations to work in the family real estate business in Casa Grande, Arizona. He received his Real Estate License in 1994 and still carries it today. In 2003 he opened Bridwell Investments LLC, a real estate remodeling and holding company, as the Managing Partner, along with his brother Lane and mother and father. 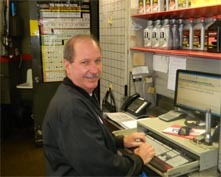 In 2008 Terry came back to the family business, managing the front end of our service station where we are a Full Service Gas Station giving “old fashion” service to our customers. Terry and his wife of 40 years, Laura Bridwell, have 3 daughters and 8 grandchildren. You can find Terry out front helping our customers most days of the week. John Fago began learning to work as a mechanic on cars and trucks when at the age of 25 he worked for the Mariposa Public Utility District as a Certified Lab Technician, along with responsibilities of maintaining its service fleet. John’s previous experience as an Electronics Technician Specialist in the U.S. Navy was invaluable for diagnosing the many different types of electrical and electronic problems in the vehicles. At 32 John became a Certified Emissions Inspector for the State of California and worked extensively for a privately held group of six Union 76 Gas Stations where he was the Head Drivability and Emissions Technician for the entire company, troubleshooting and solving problems that other techs could not fix. At age 39 John moved to Prescott, AZ and began working rebuilding transmissions. John had never done this type of work before but due to his mechanical knowledge he was able to learn how to rebuild transmissions, transfer cases, and differentials at an expert level. After two years in Prescott, John opted for a warmer climate in the Valley of the Sun, and he has lived here since. John found a job at a local Phoenix Luxury European repair shop where he gained extensive knowledge on major European car manufacturers, including Mercedes, BMW, Mini, Land Rover, Volvo and Audi. Over the years he has attended many classes from factory-trained teachers for those brands, including his most recent training on Mini and BMW models. John became a Master Certified Technician with ASE in 2005; he has maintained the certification in his position at Bridwell Automotive Center, where he is now our Lead Technician, providing expert automotive services for domestic, European and other import vehicles. Jack Lindsay moved to Arizona in 1967. His father had a mechanical background and worked for Buick and Chevrolet. Together Jack & his dad restored a camper, a boat, and then a 1950 Oldsmobile, which got Jack’s mechanical enthusiasm going. While attending Scottsdale’s Saguaro High School, Jack worked at a Richfield Service Station, doing tires, light mechanical work, oil changes and pumping gas during the late 60’s and early 70’s. This was where Jack learned how to work on cars at a professional level. Then the gas embargo of 1974 hit and Jack left the automotive business for a while to become a bartender and wait tables through college at Arizona State University. After college, Jack went to work for a Chevron Station while saving money to buy his own service station, learning on the job how to be a full-time professional technician. Jack decided to take his technical skills and his degree in Marketing from Arizona State University and go into business for himself. He purchased an EXXON Station in Scottsdale. He owned the business for eight years until his rent escalated and he decided to sell his station. Wanting to stay in the automotive repair business, Jack started working for the Bridwell Family as a technician in 1998. Within a couple years, he was promoted to Bridwell Automotive Service Manager, a position he still holds today. Jack has become an extremely valuable member of the Bridwell Team, using both his management and technical skills to provide our customers with the best service in the Valley. Adam Sporrer is a rare 4th generation Arizona native who grew up surrounded by music, cars and mechanics. He is happily married to his beautiful wife, Andrea. Together they have two children, his son Mathias and daughter Elaina. Adam enjoys spending time with his family, playing his guitars and fishing with his kids. Learning from his grandfather who was a master automotive and heavy machinery mechanic for more than 65 years, and his father, a true shade tree mechanic, Adam learned the basic automotive skills that ultimately fueled his interest in auto mechanics. As a child, he helped his father restore their prized 1971 Ford F100. At age 15, Adam began working at a local fabrication shop. While in high school, Adam was a member of the Camelback High School engineering club in which he and other students designed, fabricated and raced electric vehicles and competed on the world stage with many alternative fuel engineers, including MIT and Toyota. After graduating from high school, Adam attended Wyoming Technical Institute where he received formal technical and shop management training. Adam began working at Bridwell’s in 2008. With the direction of Bridwell’s seasoned technicians, and guidance from Lane Bridwell and service manager Jack Lindsay, Adam acquired the skills necessary to become an ASE Certified Technician. After working for 7+ years at Bridwell’s, an employment opportunity with Porsche presented itself and Adam, who had once aspired to be a Porsche technician, left Bridwell’s to pursue his dream. After a year-and-a-half working for Porsche, however, Adam ultimately came to the conclusion that the dealership atmosphere wasn’t for him. Also, the skills he had acquired working on all makes and models were underutilized and his knowledge was better accommodated working in the small independent shops he was cultivated in. While employed with Porsche, Adam acquired Porsche factory training and experience. 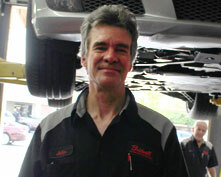 He also achieved a Porsche Bronze Meister Technician Certification. 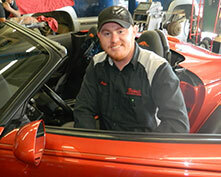 After Porsche, Adam returned to the one place he believes nurtured his growth as a technician and accepted him like a family member, Bridwell Automotive Center. Adam plans to bolster his knowledge in the years to come while offering the highest level of automotive repair and customer satisfaction.